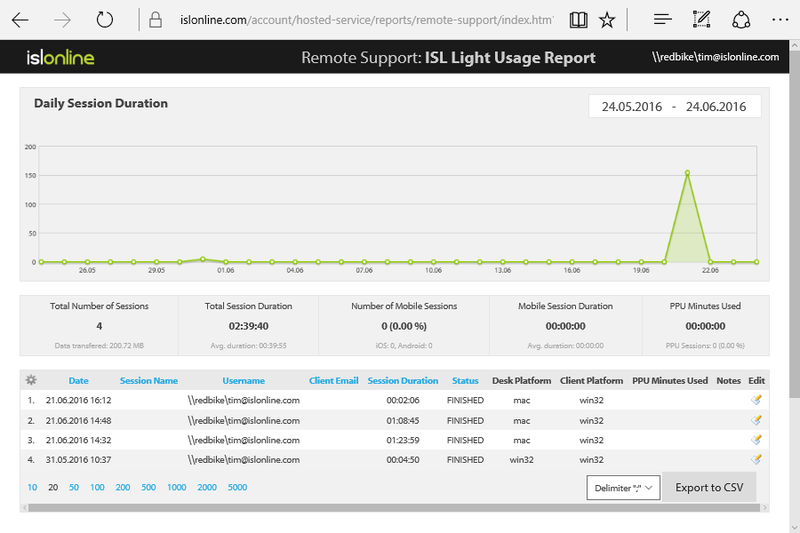 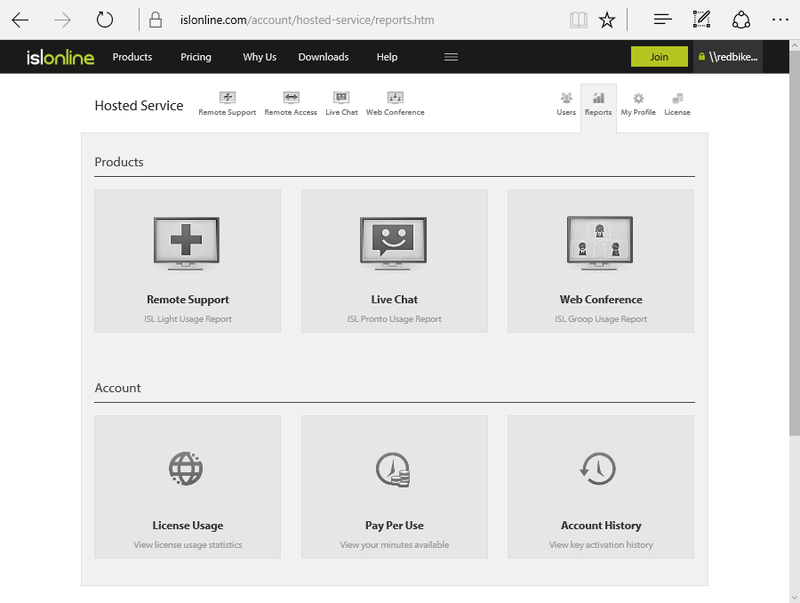 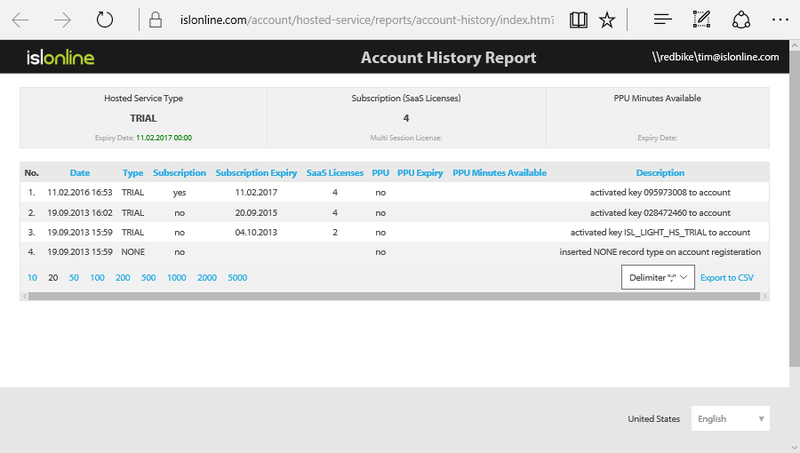 From within your ISL Online Account you can view detailed reports on products such as Remote Support, Live Chat, Web Conference. 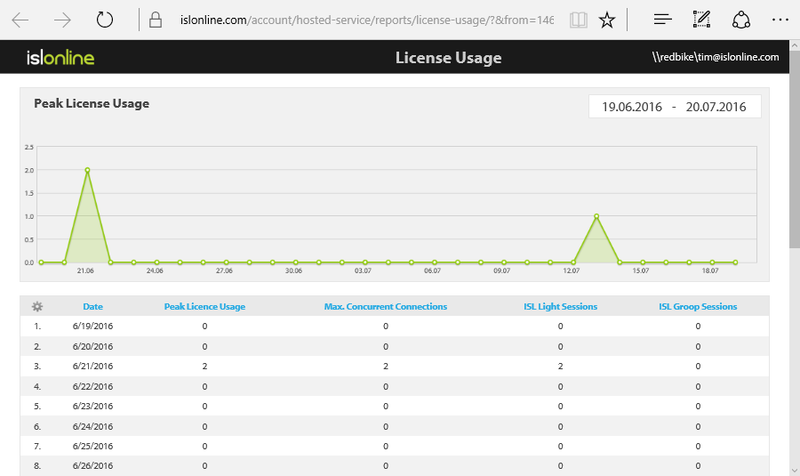 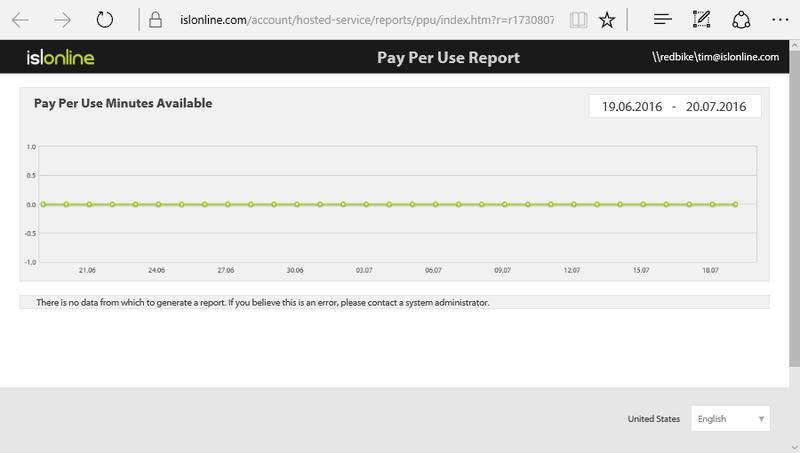 You can also view detailed analysis on your account by choosing from License Usage, Pay Per Use and Account History. 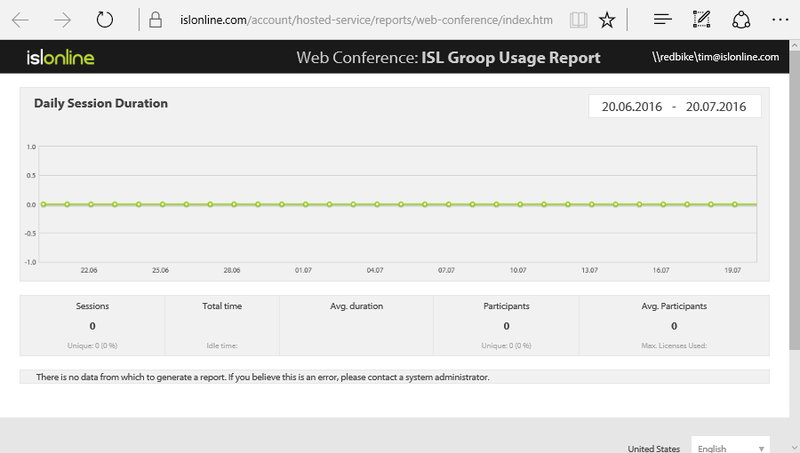 When you highlight over a report it will highlight meaning by a single click you can load your desired report. 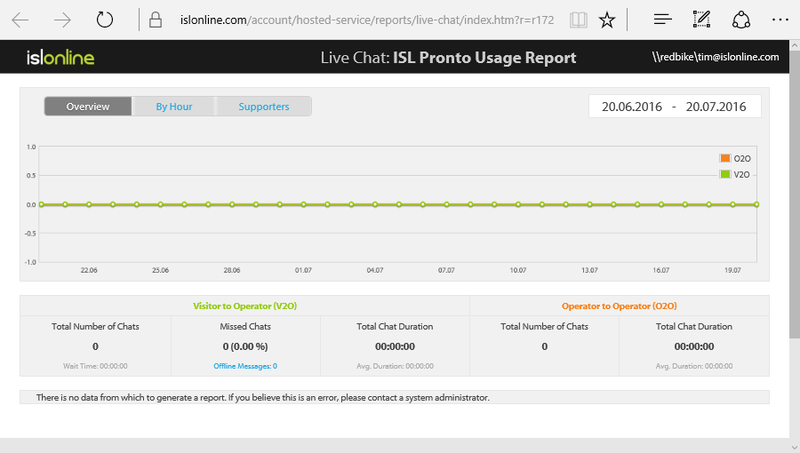 Note: Chat transcripts for ISL Light sessions can be enabled by either enabling the End-of-Session dialog or contacting us at: support@islonline.com and we will enable it for your domain. 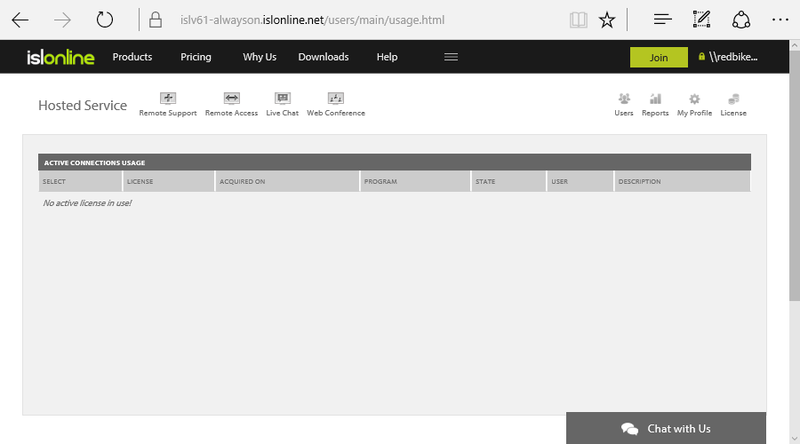 O2O = Operator to Operator.